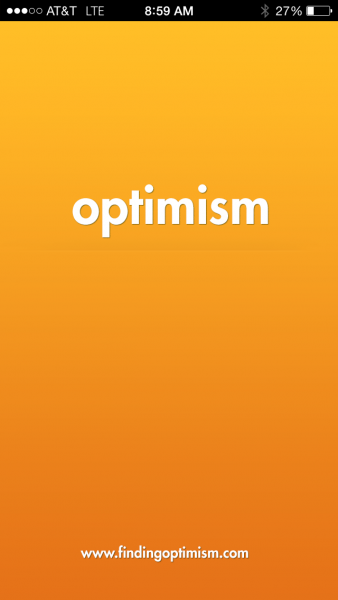 The Optimism App was developed to help patients with mood disorders, such as Bipolar disorder, track their daily mood. Many of these patients get psychiatric care often, but it can still be hard to express exactly how they have been feeling. 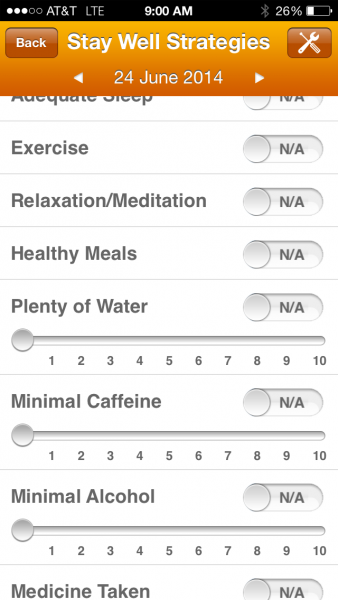 It can also be hard for patients to track their mood with a single number. 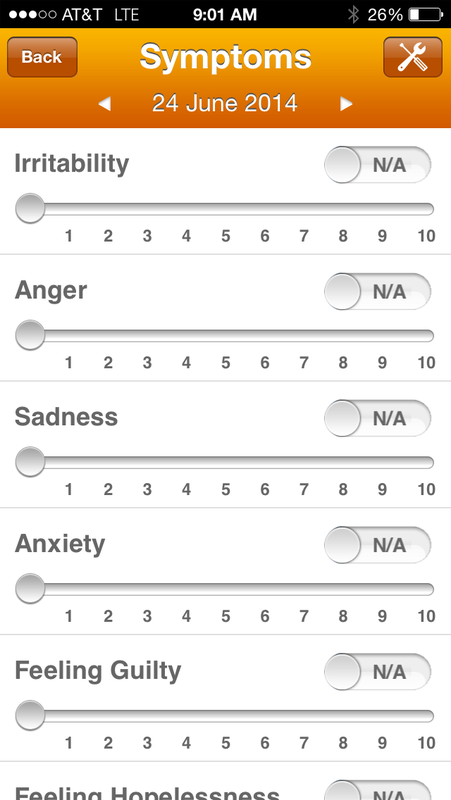 This app tracks various aspects of a patient’s mood as well as other aspects of their life that could attribute to their mood. 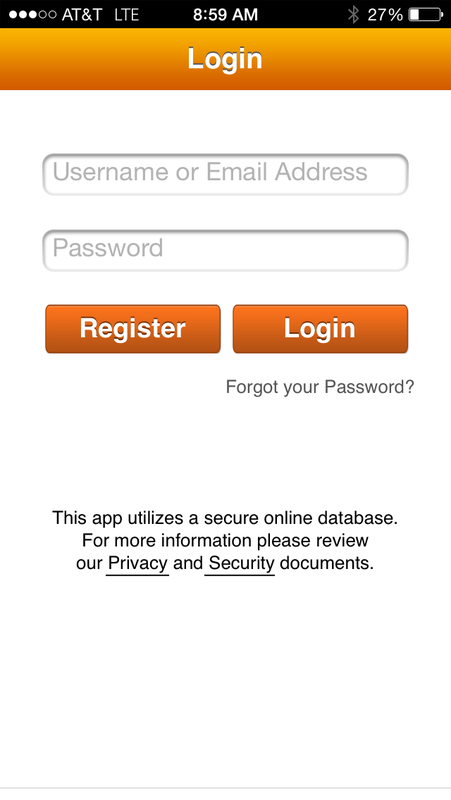 The app opens up with a requirement to register with the app and create a login. This process takes less than a minute. 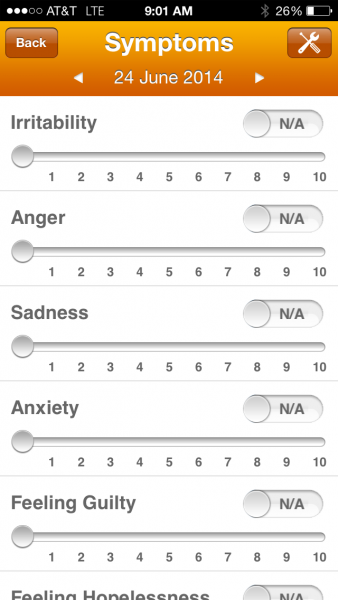 Once the user has logged in, they are presented with a screen that allows them to start recording their mood. Data that can be entered is categorized according to the headings seen below. The privacy page can be viewed here. These different categories allow the user to input various types of information. These include current mood, amount and quality of sleep, amount of exercise, caffeine and alcohol consumed, as well as any triggers. 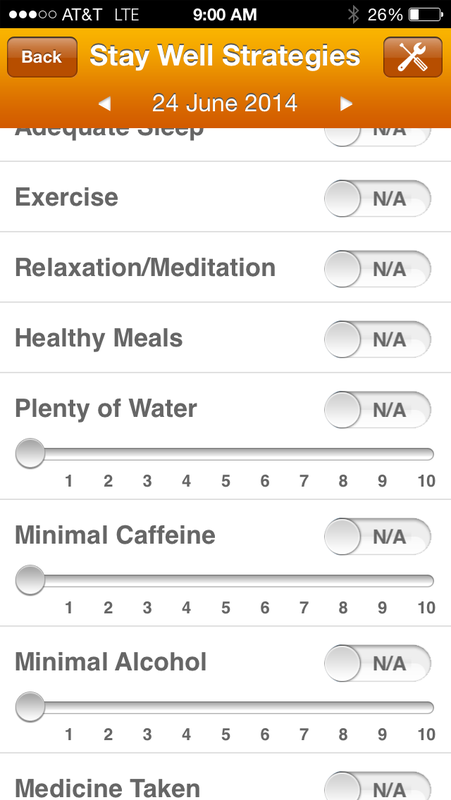 The only flaw I noticed is that the mood section is a scale of 1-10 with no option to add a description of the mood. 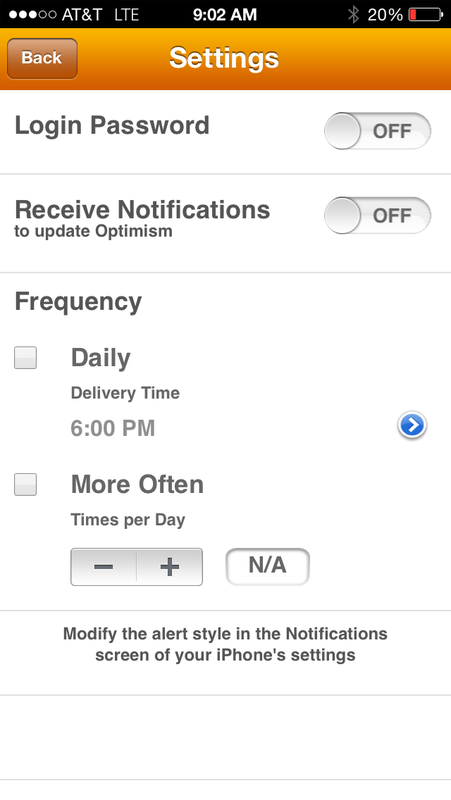 The app also has a settings page that lets the user decide if they would like to receive notifications and how often if they do. 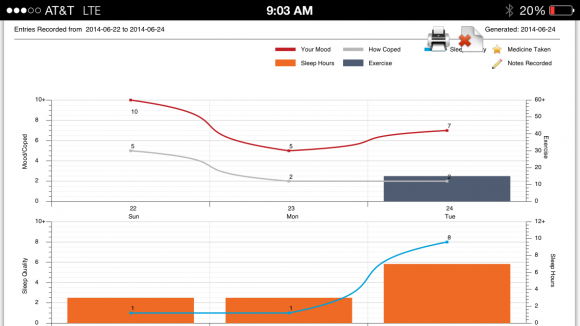 Lastly, a great feature of this app is the charting. The app can take all of the information that has been added and make a graphical representation. This can be useful to both a patient as well as a physician who wants to see trends since the last visit. 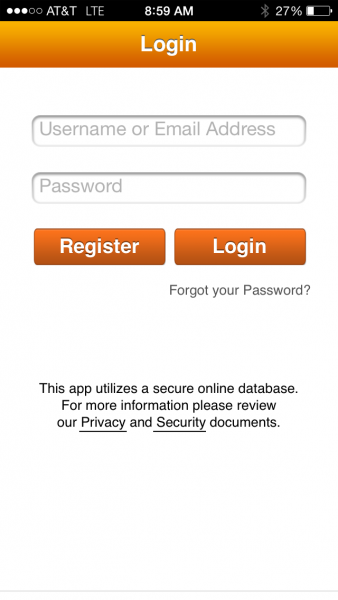 The app also allows the user to email the report to any email address. 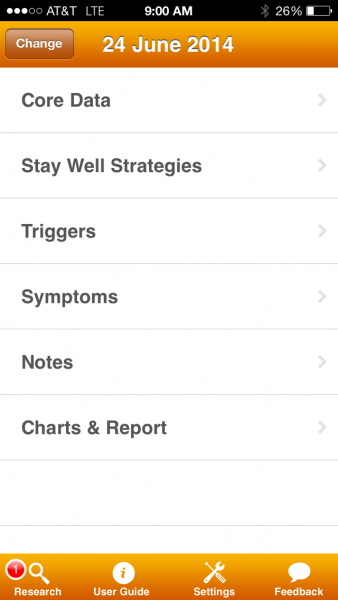 Patients who have mood disorders and their healthcare team could benefit from this app. 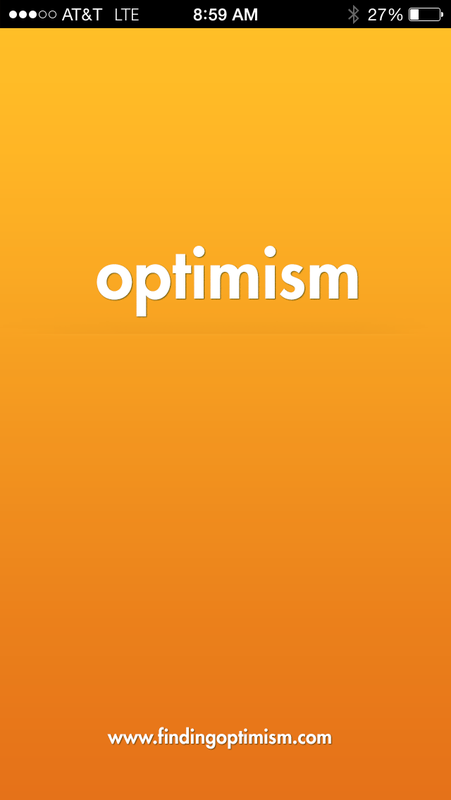 The Optimism app is a great option for patients with mood disorders who want to monitor their mood. This app can be a great way for patients to relay information to their healthcare providers when expressing their mood over several weeks can be difficult. The app covers various other aspects of people’s lives that can influence moods and tracks them as well, making it easier to get a good overall picture of the patient’s mood status. Simple to use and easy interface. Requires the user to create a login. The app can be very useful to patients with mood disorders and can help their healthcare providers get a better understanding of their mood.